A beautiful hard case to protect the back of your iPad 2, 3 or 4. 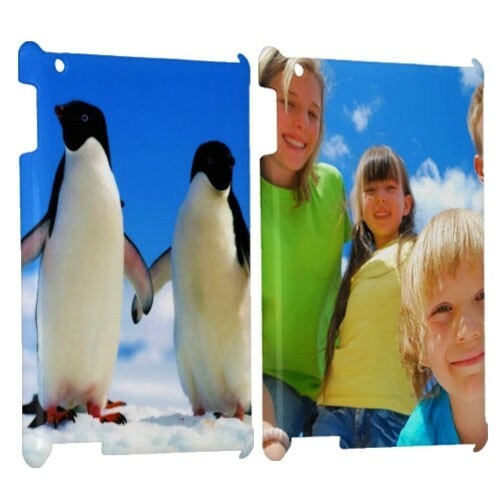 Choose your photo and have it fully printed all around the case. This case is not only protective, but also good-looking! A full wrap, high quality print iPad case! A full wrap iPad hard case from GoCustomized is a hardened plastic case which clicks on the back of your iPad. It protects the sides and back of your iPad from scratches and dents. Whats so special about this particular case is that your design will be printed on the entire case. That means your design will stretch around the corners of the iPad hard case. We only use the best printing techniques and materials to ensure that you get a crisp, clean finish. Make sure you use an image with a high resolution. This will help us achieve the best result together! How do I actually design my case? 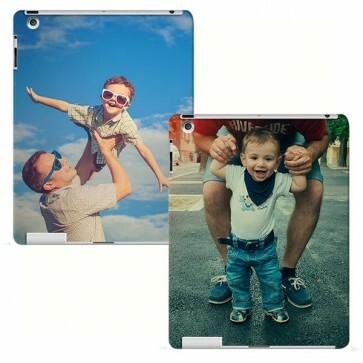 Our design module has been developed to help you make the perfect personalised iPad 2/3/4 case. First decide which base colour you would like to use. If you leave any parts of the case empty of design, this will be the colour displayed. Secondly, upload an image straight from your computer, tablet or smartphone. If you have all your best images on your social media accounts, dont worry. GoCustomized gives you the option to upload images straight from Facebook and Instagram. Add some personal text as a finishing touch. There are many fonts and colours to choose from. Done and ready to order? Be sure to check your design! Once you are finished with your design and have ordered your case, one of our specialists will recieve your design and get started immediately. If he or she founds a problem with your design that would result in an unsatisfactory end result, they will contact you straight away. We want to give you the best of the best and nothing less. Once your case has been made, it will be securely packed and shipped within 24 hours of purchase!